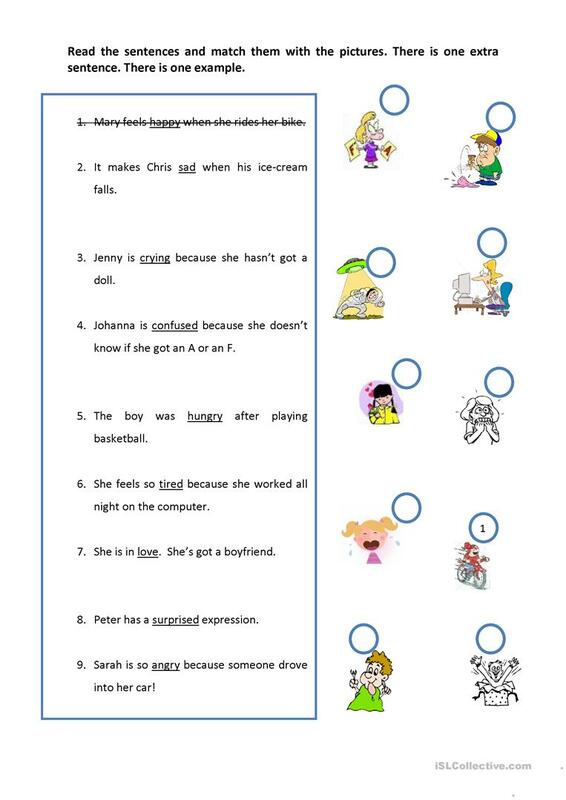 On the 1st page the students will read the short sentences and decide how the children feel. Then they´ll write and try to draw the expressions. On the 2nd page they´ll match the sentences with the pictures. The present downloadable handout is a great resource for elementary school students at Beginner (pre-A1) level. It is useful for working on your pupils' Writing skills. It centers around the topic and words of Feelings, emotions.